Nickolas Butler is one of my favorite writers because of how his novels and stories address universal themes of both life in literature, but with a decidedly Midwestern bent. His debut novel Shotgun Lovesongs, one of my favorite books of the last 10 years, is about friendship and loyalty (and music!) in a small Midwestern town. His underrated short story collection Beneath the Bonfire is about Midwestern friendships and relationships. And The Hearts of Men is about what it means not just to be a good man and father, but what it means to simply be a good person — again, with characters so heart-achingly Midwestern, you can't help but love them even as they do terrible things. 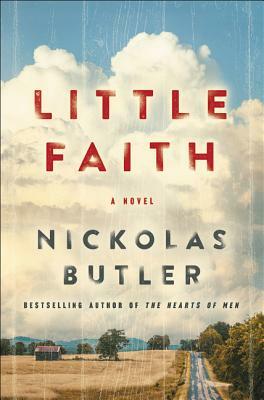 Now, Butler is back with another terrific novel, Little Faith, about two big literary themes: Faith and family. And as is the case in his previous work, Butler creates a story illustrating how these two themes are cornerstones of Midwestern life. Specifically, this story is about how interconnected faith and family are, what happens why then run afoul of each other, and the consequences of losing first one and then the other. Lyle is a non-grumpy old man — a semi-retired Wisconsinite, married to a woman named Peg. Their adopted daughter Shiloh and her six-year-old son Isaac come to live with them after Shiloh has been out and about, sowing her wild oats. Lyle is complete taken with his grandson, spending every possible moment with him. The opening scene of the novel is the two playing hide-and-seek in a graveyard — a wonderful metaphor for the big questions that follow about faith and religion, fate vs free will, and the meaning of life. For Lyle, faith is simply a matter of inertia. He's long since lost any real belief in a god as a result of a tragedy with his and Peg's first child many years ago. Butler touches on big theological questions like "Why would a benevolent god let bad things happen to good people?" but doesn't dwell on them. He understands this is well-trod ground, and simply has Lyle consider these questions, sometimes talk about them with his buddies (one of whom is a Lutheran pastor), and then move on. Lyle still goes to church every Sunday, but it's more out of habit than anything else. Shiloh, however, is a newly born-again Christian. And she soon lands herself in the thrall (both spiritually and personally) of a charismatic preacher of a new fundamentalist church. (I hesitate to call it a "cult," though it is definitely cult-like.) Eventually, she moves in with this preacher, leaving Peg and Lyle and taking Isaac with her. This is devastating for Lyle, but even more devastating is that Shiloh begins withholding access to her son. She makes Lyle admit he's lost his faith, and therefore thinks he's a bad influence on her son. This conflict between faith and family comes to a head when Isaac gets sick, and Lyle begins to suspect Shiloh and her preacher boyfriend aren't getting him the care he needs, choosing to try to "faith heal" him instead. This brings up several more thorny questions regarding freedom of religion vs. the welfare of a child. Will Lyle and Peg bring Shiloh to her senses before something really tragic happens with Isaac? This novel takes place over the course of one year, a quintessentially Midwestern cycle. Butler is absolutely in his element writing about seasons and landscapes — his descriptions of the apple orchard Lyle works in part time are some of my favorite passages in this novel. And overall, Butler is such a natural, easy storyteller. 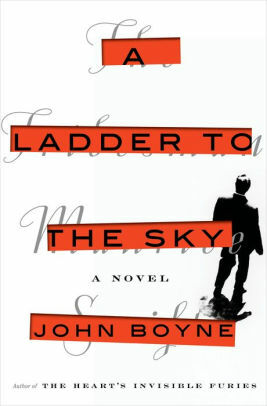 This novel, like his others, is composed in Butler's signature warm, inviting, downright comforting style. It's just a pleasure to read. And so if you enjoyed Butler's other work, or are a fan of writers like Richard Russo, Leif Enger, or Kent Haruf, you'll love this novel too. I've been all over the place lately, which is how I like it! From a comic Australian novel to a memoir to a small press Chicago novel, here's a rundown of three of really good books I've read in the last few weeks/months. Why I Picked It Up: Duh. Why You Should: You haven't already? C'mon, get with it! But seriously, this is an absolutely tremendous read: A deeply human story, a story about success amidst myriad challenges, and a story about how and why things have devolved into how they are now. I really, really loved this, as has every reader who has traversed these pages. I'm not ashamed to admit I got choked up approximately 78 times reading this. If you're still on the fence, I can also tell you Michelle Obama is a hugely engaging writer — though that shouldn't be surprising. What is surprsing, though, is that, while oftentimes, the early parts of memoirs devolve into an episodic "then 'this' happened, then 'this' happened" chronicle of events, that definitely does not happen here. The first section (Becoming Me) about her south side childhood, her relationship with her parents and her relatives, her dad's failing health, and learning about what race means, and what it means to be black in America, is absolutely fascinating. 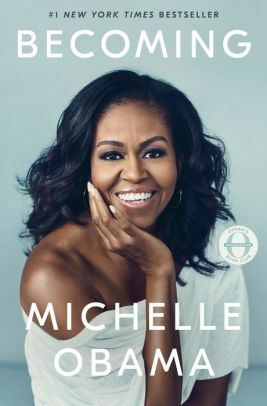 The second and third sections (Becoming Us, Becoming More) are about her early career as a lawyer in Chicago, meeting Barack, and building their family. And then, the White House: What a fascinating story of those eight years. It was so much fun to relive them through her eyes. But it's not all roses: One of the more devastating recurring themes of this book — in a book FULL of devastating parts (given the current state of things) — is the vitriol and rancor people spat at the Obamas, how everything either of them said was willfully and purposefully misinterpreted and used hatefully, and how there was never any interest across the aisle on working together. It was all about hoping they failed. But truly, there is always hope, and so if you need some inspiration in these dark times, this is heartily recommended! Why I Picked It Up: I was browsing at Unabridged Bookstore here in Chicago a few months ago, and this was on the remainder table. 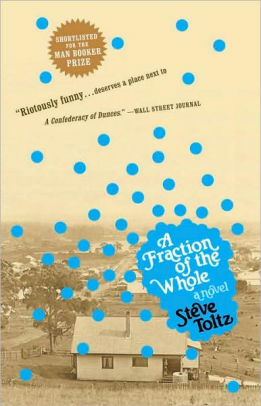 A blurb on the cover compares it to the A Confederacy of Dunces. Sold. It's a novel you get totally lost in — one of those books that's so engrossing, you look up and can't believe three hours has passed. For me, it was fun to take a chance on a novel and writer I'd never heard of before, though this was shortlisted for the Man Booker prize back in 2008. Recommend for fans of, yes, A Confederacy of Dunces, but also Ned Beauman, Tom McCarthy, and hell, even the Russians like Tolstoy and Dostoyevsky. Why I Picked It Up: I found this terrific novel at a recent indie book fair held at a bar in my neighborhood, at which the publisher, Tortoise Books, was exhibiting. Also, I'm a sucker for books about bars. Why You Should: Because you like your books as booze-soaked as you imagine all writers are. A stereotype, I know. 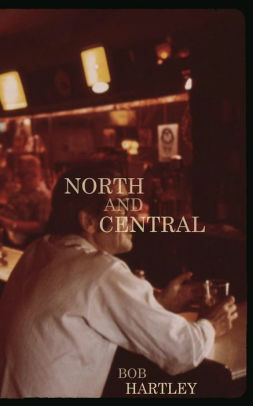 But this gritty, slim noir is about a bar owner on the west side of Chicago in the late 1970s. Andy has a "if you can't beat 'em, join 'em" mentality about Chicago's corruption and mob scene, and together with his buddy, a dirty cop, hatch various schemes from the bar to take on the mob themselves and get their own little piece. I loved this book for the characters, the seminal events in Chicago history that touch these characters' meager existences (like John Wayne Gacy's arrest and the blizzard of '79), and the pared-down, in-the-trenches-of-life style of writing. This is a one- to two-sitting read, but it's phenomenal — another book I'm super glad I took a chance on.